Informatica is a used ETL (Extract, Transform and Load) tool which is used in the applications of Data warehouse for the purpose of retrieving and analyzing the data from different types of data sources. ETL was developed by a USA based Software Company Informatica where its’ headquarters is located at California, United States. 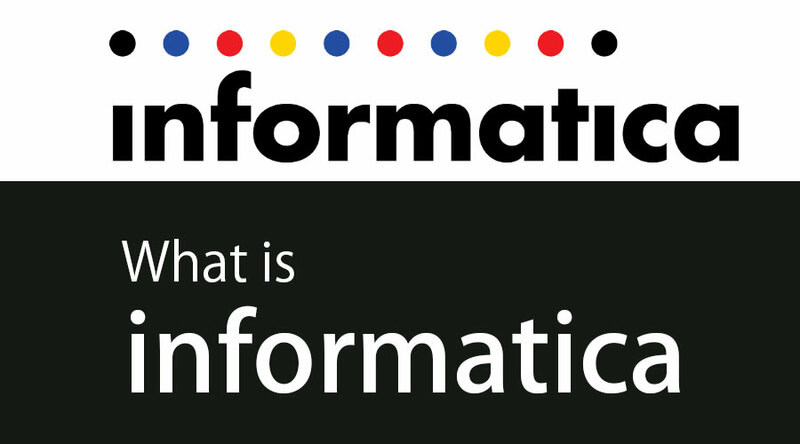 Informatica Company was founded in the month of February 1993. The different types of core products from Informatica are being developed and released in the market such as Cloud Management for Enterprise uses and Data extracting tools such as ETL etc. These tools perform multiple operations such as Data Transformation, Data Extraction, Data Management, Information Lifecycle management, etc. ETL tools can handle any type of data formats mostly. Extract: This is the first step in the process of the ETL process in Informatica tool which performs the process of obtaining data sets from the configured data source. This will then be loaded into the data warehouse. This process can also be called Capture. Transform: The second step in the process of ETL is Transform which will be done from one format to another format which will be supported by the structure of the data warehouse that will be stored into. Load: This is the third step in the ETL process which will perform the operations of storing the data into Database by creating indexes in the format of data warehouse structure after applying all the required transformations. It allows the safe exchange of data in Business to Business and complete end to end visibility. It extracts data from different kinds of databases with different types of data such as Structured, Unstructured and Semi-Structured data and transforms it into required form and stores into the target databases for the customer requirements. It has the feature of parallel processing which is defined as the process of computing the execution of multiple processes simultaneously. It provides the reusability of data, re-running the data and recovery of data. It gives accurate deliverables and provides automation of deployments. It provides high security to the data stored. It provides recovery in the case of data disaster moments and customized access permissions. It has a centralized cloud server which provides high security with easy accessibility and tracking data facility. It provides high visibility in case of presentations for the visual data. It provides easy data maintenance and data monitoring. Create a session for each mapping. Start the process of a workflow. The above process will always follow in the case of almost every ETL process which is a kind of generalized theme. It helps the large organizations in the industry to store the data into many kinds of physical repositories such as data warehouses. It used for reporting, analysis and pictorial representation of large data for easier presentation. It has Data governance, data warehousing, data migration, data replication, and data synchronization applications. It has Integrated Competency Centers and Matter Data Management facilities. It acts as a Service Oriented Architecture (SOA) feature in terms of data exchange feature. It provides great services in the area of Business Intelligence applications. ETL has a vast number of applications in the area of Data Warehouse where it transforms the data into different kinds of formats in order to support the existing data warehouse design structures or data storage structures. It provides integration of different heterogeneous systems such as multiple databases including file-based systems as well. It can also be used as a cleansing tool in case of cleaning the data. It also provides the migration of data from different technological or hardware streams. As there are different and multiples areas of applications in the field of Informatica ETL tool and also the average utilization of ETL tools itself contain Informatica as the major one. This clearly indicates that there is greater utilization of Informatica tool in the area of ETL which has more than hundreds of tools available in the market currently. There are huge numbers of tools including third-party tools as well for the data warehouse applications with different functionalities and options to handle datasets in the Informatica tool. There are multiple data source features to transform or map after loading the data into the Informatica tool. The Informatica tool has extensive applications in the area of Data Analysis and Data handling which provides greater benefits like Data Security and reducing data redundancy in the shortest execution time. The different data related applications in the stream of Data Extraction and Analytics are getting increased enormously nowadays as the existing real-time data is becoming huge to handle further without any machine or software related products to decrease manual effort and time consumption. The increase in the customers’ requirement and customer business use cases require sophisticated data handling applications to manage and handle customers’ huge data content in a safe and secure manner. An ETL tool is used to provide complex business solutions in a shorter time without hassles and easy to manage data handling options and functionalities. The increase in the customer daily requirements or customer data handling requests especially ad-hoc based activities makes the Informatica be an ideal solution for most of the customer businesses in the digital world for highly complex needs in data operations.